In 2010 Align surveys worked with The SIMS group and The B.C. 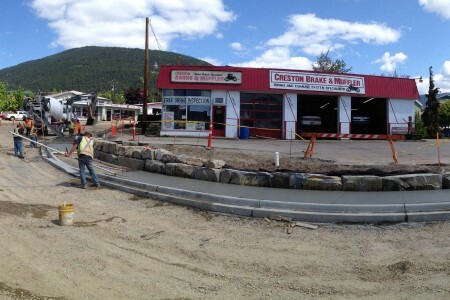 Ministry of Transportation and Infrastructure to upgrade the Corbin Road Intersection between Sparwood B.C and the Crowsnest Pass AB. 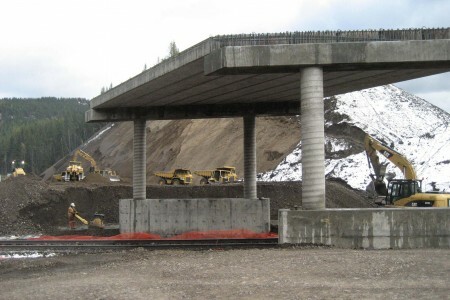 The project was mainly earthworks, slope staking and volume reporting. 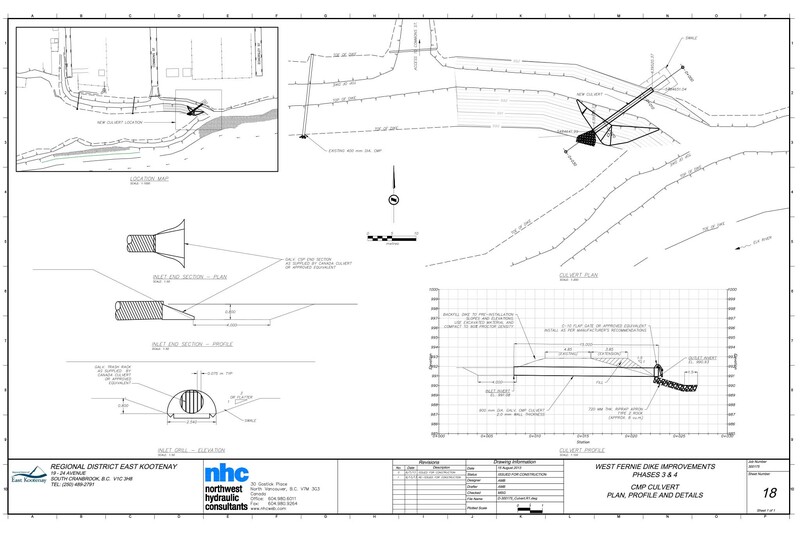 The project also included bridge layout for the crossing of the C.P. 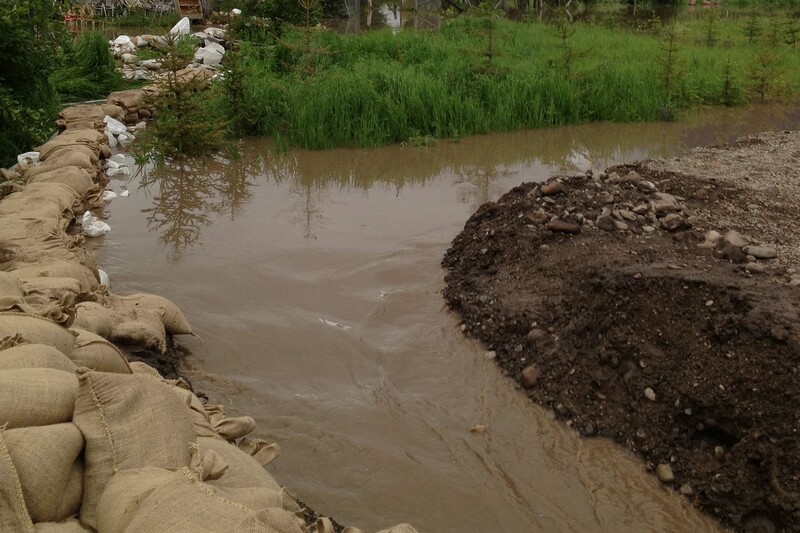 Rail mainline and the Michel Creek. Highway 3 and Pine Street, Creston, B.C. In 2015, working with Maglio Installations and The B.C. 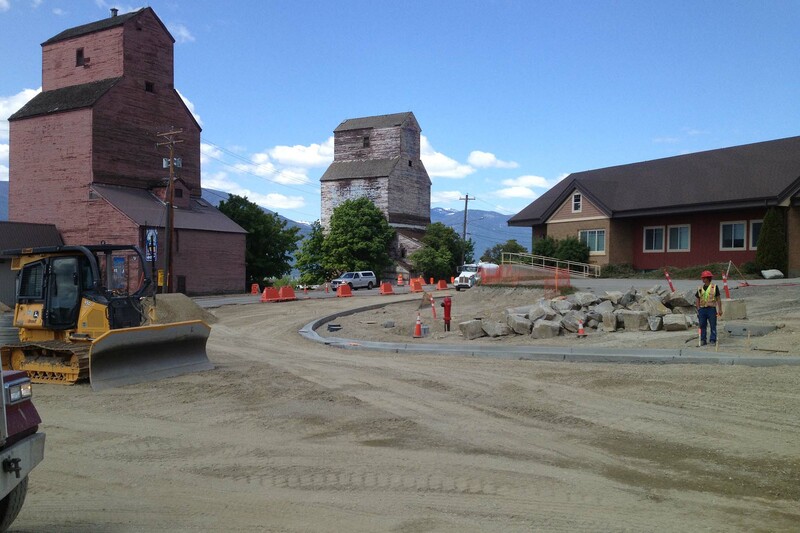 Ministry of Transportation and Infrastructure, Align Surveys provided survey for major upgrades to this busy intersection in Creston B.C. 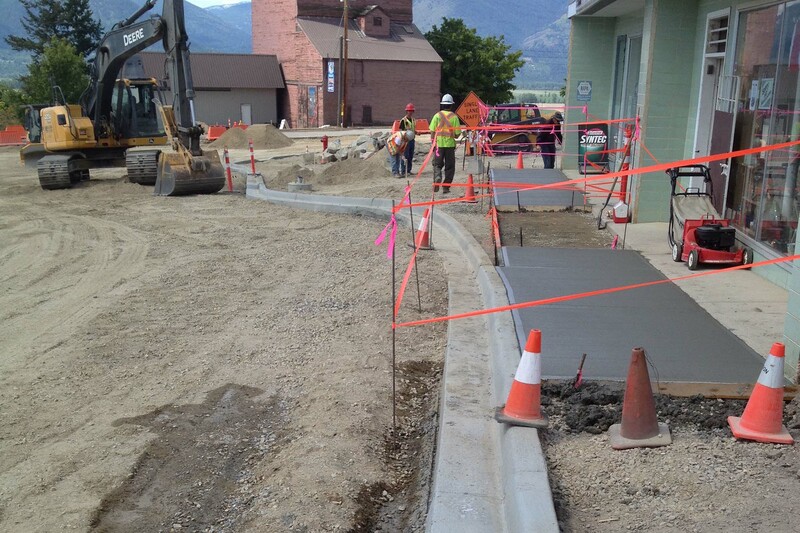 The project required layout for underground utilities, new sidewalks and road grading. 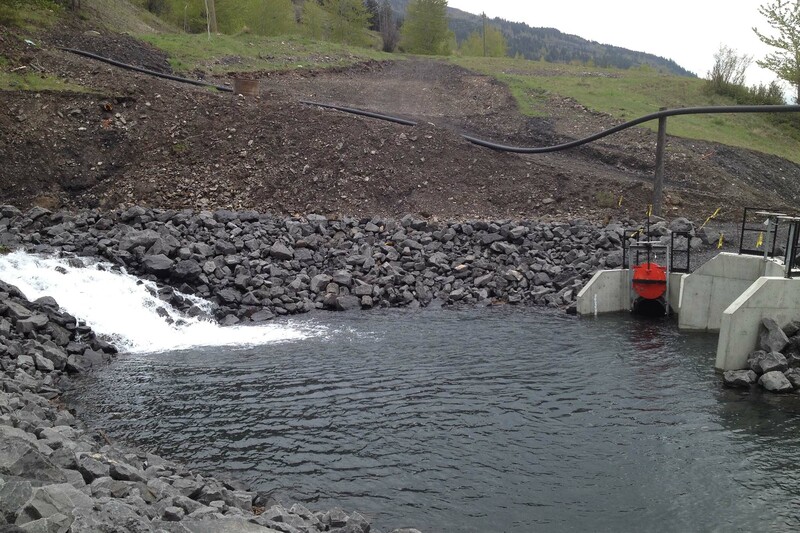 In Fall 2014 Align worked with Formula contractors at Teck’s Elkview Operations mine to redirect and manage the flow of the Bodie Creek. 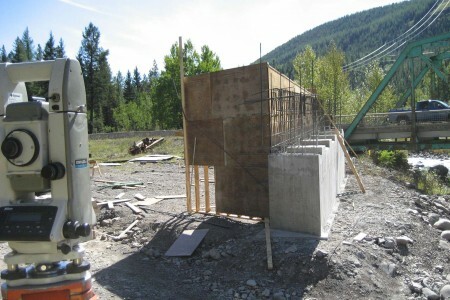 The project involved 2 directional Bores, for piping one under a haul road and the other under C.P. 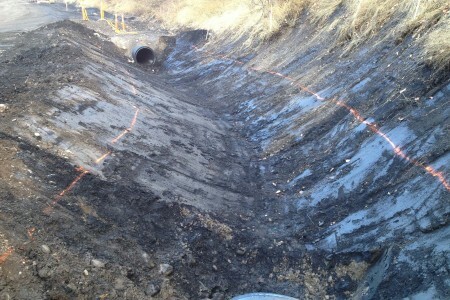 Rail’s main line. A first order monitoring survey was required to ensure no track movement occurred. 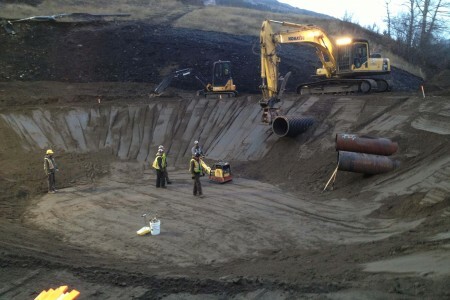 Extensive ditching and settling pond excavations were required for filter cloth, rip rap and plastic liner specifications. Several large headwalls and culverts were staked out for underground piping. 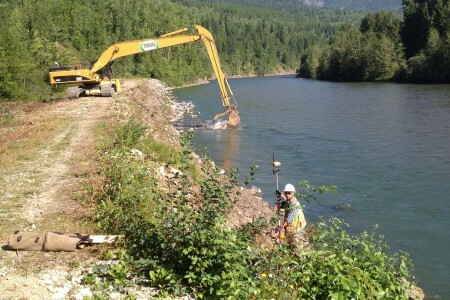 In 2013 Align worked with Tervita on the flood protection Dike surrounding West Fernie in B.C. The job involved the layout of earthworks, rip rap armoring and the reporting of their respective volumes. An overflow settling pond and concrete structures were also installed with layout form Align. Since 2013 Align Surveys has been involved with the subdivision in Fernie B.C. This multi stage subdivision has provided 28 new lots in Phase 1. 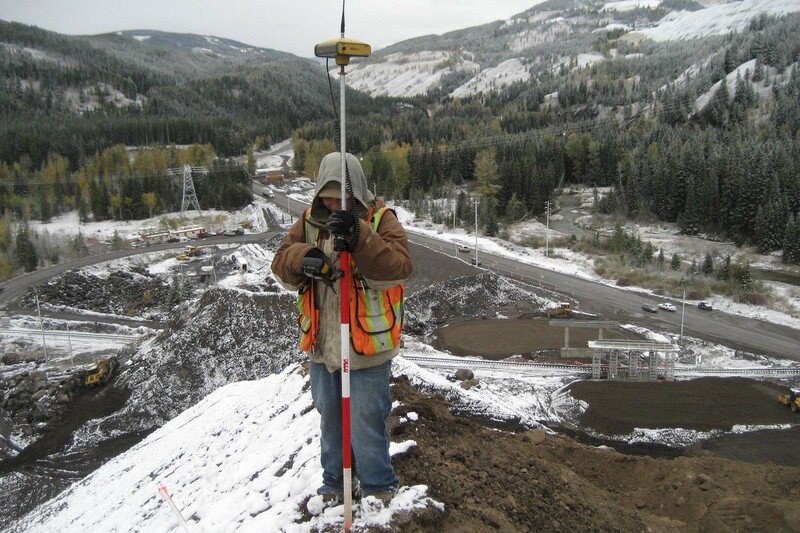 Align conducted the original topographic survey and worked with the design team to provide the best lot placement. 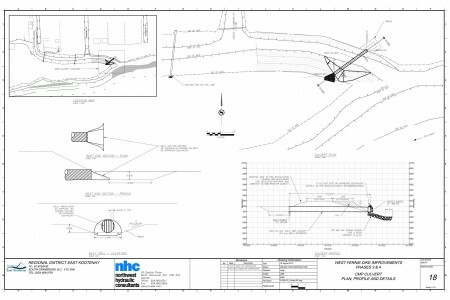 Align provided the underground utilities layout, road layout and under supervision of CIMA Geomatics posted the legal boundaries. 9500+ f² Residential property near Fernie B.C.